Posted on October 24, 2010, in Nature Photography, Ordinary Day, Woods and Water and tagged Nature Photography. Bookmark the permalink. 4 Comments. This looks like a best seller. I had to share this on facebook because I think it’s an amazing photo! Love it! Love this shot!! I’m wondering what kind of tree/plant this is. Whatever it is it has made a beautiful shot! 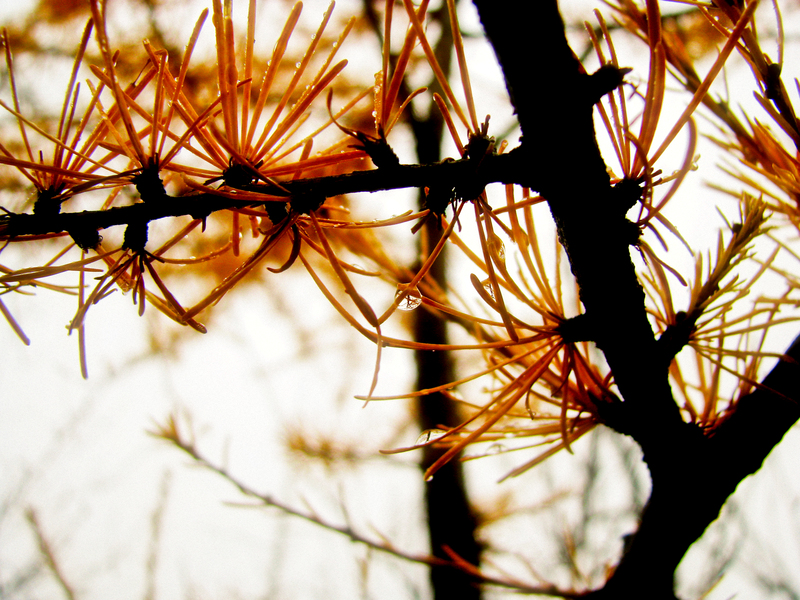 This is a Tamarack tree–it is a deciduous pine tree–meaning it loses it’s needles every fall. Thanks everyone! That day I certainly did not feel like getting out the door this image made it worthwhile.